It is again the winter season in Cincinnati, Ohio, and that means it is time to kick on the fireplace and utilize the chimney. Before doing so, you want to make sure your chimney is functional and in good working condition. This is a task you want to complete on all your home systems, including the HVAC as well as the gutters. 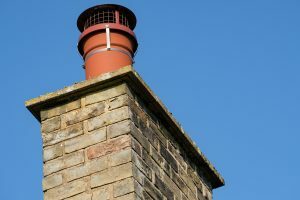 In this short guide, you will be informed of the top four signs you might need chimney repairs. If you have had a recent disaster occur in your home, it may have affected your chimney as well as the rest of the house. 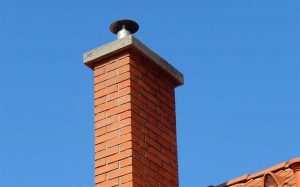 Besides having to perform remodeling, you may need to have chimney repairs completed to get your fireplace and chimney working again. 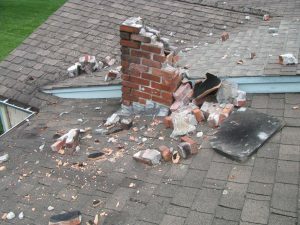 If you notice any cracking or crumbling to the chimney after a tornado, earthquake, flood, fire, or hurricane, or if the chimney is leaning at all, you need to contact a professional chimney team to evaluate the damage to your structure. Another sign that your chimney may need repairs is if you notice visible water damage. Water damage from leaks can be an insidious and slow process. Your chimney may have a minor leak, or it could be as severe as crumbling brickwork. Just as roofing leaks will cause the painting to peel and mold to grow, leaks in the chimney can cause stains on the masonry or ceiling. Musty smells may emit from the fireplace, or wet ashes may be noticed. These are all signs that you need to call in a professional chimney crew as soon as possible. 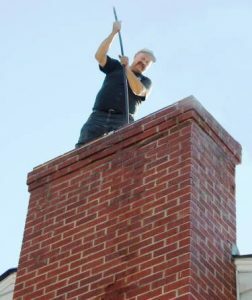 Chimney repairs may be required in your home if your brickwork or other masonry materials are warm to the touch. This is usually a sign of a damaged flue liner, but it can also mean other things are not functioning correctly as well. If you notice any pieces of broken clay in the fireplace, this is a sign that your flue liner needs to be replaced. When the flue liner is cracked, damaged, or not functioning correctly, it can cause the gases that are usually swept up and out of the chimney to escape into your home. You and your family members can breathe in this contaminated air and develop respiratory issues from the harmful gases. If you have used your chimney and fireplace for many years, it may be coming to the end of its life. One of the hardest working portions of your chimney is the firebox. It takes the brunt of the heat and abuse from the fire and flames. Simple wear and tear may require you to replace the flue or firebox after multiple years of usage. Make sure you are inspecting your firebox monthly and if you notice cracks or damage to the masonry, call in a professional fireplace handyman or a professional chimney team to evaluate the severity of it. As you can see, there are multiple signs to look for when operating your chimney for the first time this season. Whether you notice water damage, normal wear from use, or any structural damage, you will be well prepared to fix the obstacle and start using your fireplace this winter. If you follow our advice on the top four signs you may need chimney repairs, your Cincinnati home will be cozy and warm from your working fireplace this winter!